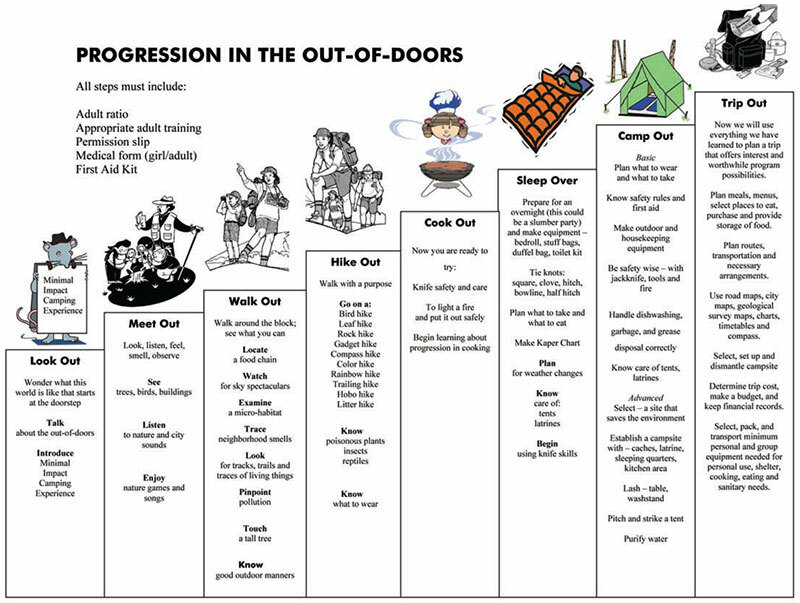 Before scheduling a field trip, check the Outdoor Progression Chart to make sure your troop is ready! Scout program for Daisies and Brownies available here. Really our troop prefers just going for day hikes on our own. This would be a great first hike for Daisies. Great program for leaders – we just had to show up and chaperone. Arboretum staff took care of activity, and the girls had a lot of fun. ❖ Houston SPCA – Daisy (2nd year) – great program, inexpensive. Girls really liked it. Leaders liked that SPCA focused on being safe around animals. It wasn’t about saving animals, it was about being safe around the animals around us. ❖ Disney on Ice – Daisy (1st year) – wouldn’t recommend. Another mom organized it because it was a discount for group tickets. Expensive, and I’m still not sure how it fit into Scouting. Houston Zoo Badge Workshop – Daisy (1st year) – good program. Hard to gather everyone for a weekend workshop with regular zoo crowds. ❖ Rice University library – Co-leader set up a really fun scavenger hunt. The girls had a blast! Advice? We had some dads come along, and it was eye opening for them. They saw a side of their daughters they hadn’t seen before. If you’re going to do something like this, be sure to have a very serious talk about how to behave in a library before you go. ❖ Nursing home visit at Valentine’s Day. The girls made and delivered cards. Before you go, talk to them about what to expect – sights, smells, responses, etc. We had a mom who was a geriatrics doctor, and she came and talked to them about those things so they didn’t have any “”weird smell”” faces while we were there. It was very helpful, and we had memorable and awesome visits. 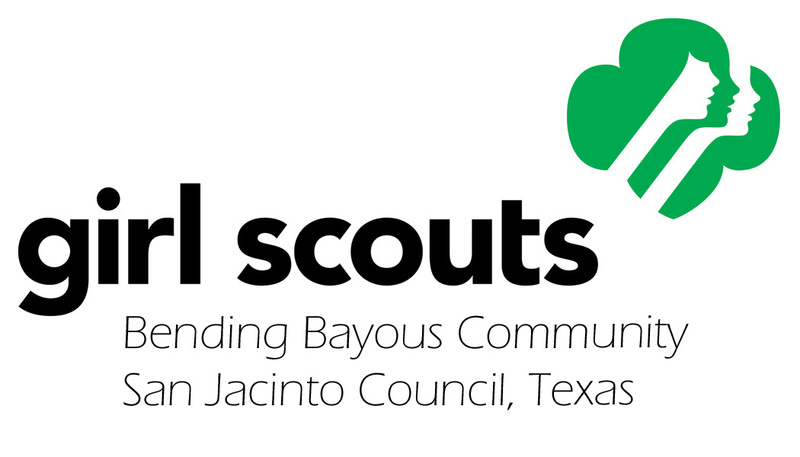 Another tip – before you go find out if there are any residents who are Girl Scouts. We met Ms. Edna, who was 94 at the time and one of the very first Girl Scouts in the US. She was a firecracker, and the girls LOVED her! ❖ Brazos Bend hike around 40 acre lake (less than a mile). There is an observation tower and the girls likely will see alligators. The hike does not take long and can be combined with a picnic lunch, or a campfire to practice fire skills and safety. There is an educational center where the troop can listen to a presentation. The gift shop has patches. About an hour drive with traffic. – Best for Daisies / Brownies, more experienced troops could rent a campsite and do overnight camping. ❖ Dolphin tour on Galveston Bay from Pier 21 was a huge hit with our Brownies! And not expensive! ❖ Backyard camping with the Daisies was a great intro – the family tents had no bugs so the girls weren’t scared 🙂 Buddy up with a more experienced troop to make it feel easier if you are new to camping – the girls love it! ❖ Houston Zoo Overnight – Brownie (2nd year) – really great program. Expensive, but worth it. Girls loved it and keep asking about doing it again. ❖ Overnight in the Moody Gardens aquarium — they do everything for you! The best part was the lady running it wouldn’t let them have breakfast until they had rolled up their sleeping bags. I woke up to girls cleaning up their areas – and that’s when we started implementing that rule at all campouts! ❖ Troop Camping @ Misty Meadows – Girls really loved this – even with wet weather and cancelled horseback riding. Misty was a good 1st experience “on our own”. ❖ Overnight stargazing at Brazos Bend was really fun, especially with the Mission Control activity! ❖ Houston Wall Mural Tour – We are going on a small tour of some of the Houston art murals this weekend. The girls planned it out. They love to take pics and post them to their social media accounts, so I suspect it will be a lot of fun. ❖ Houston Humane Society – The girls did an old towel and newspaper drive at their school. We delivered and they put on an educational program for the girls. They made toys for the animals and then got to deliver them. A hit! ❖ Mission of Yahweh – Homeless shelter for women and children. We delivered donated cookies (post initial order phase), served cookies and milk, and sang songs with some of the residents. The director talked to the girls about what it means to be homeless and gave them ideas of how they can help – without giving money. The girls then joined up with another troop and did a birthday box drive at their school. Together they made and donated 60+ birthday boxes for the kids at the shelter who might not otherwise have a birthday celebration. ❖ Co-leader’s Galveston beach house and Galveston ghost tour. Our girls like to be scared. It was little hokey, but they had a blast on the tour as well as hanging out at the beach. ❖ Loved the community camp. The girls were Cadettes and they loved all of the activities especially the jewelry making and canoeing. ❖ The Humane Society — the girls loved the animals. ❖ Huntsville – Sam Houston museum. Not sure if they still do this but they offered pottery classes and then a tour of the houses on the property. ❖ St. Francis Wolf Sanctuary in Montgomery, TX – We enjoyed a tour of the enclosures of a sanctuary on private property, met and pet the wolf ambassador, ate hot dogs and s’mores around a campfire, and had question / answer time as the sun set. It was a gorgeous setting, we learned about pet responsibility and the dangers of treating wildlife as pets, and experienced the darkness and quiet of the country without being too removed. Kids have to be 8, so Brownies and up. ❖ Co-leader’s cabin in the woods. We’ve gone a few times, and the girls always have a blast. It’s a space for them to run around and explore, kind of like camping but a little different. We watch movies (scary of course) and eat popcorn. There’s a historical cemetery nearby where the girls have explored and done some etching for one of their art badges. good quiet place to get most of the work for one of our journeys done. We went to a fish monger and a farmer’s market. We even spent some time on the beach. ❖ Community Camp Out @ Agnes Arnold – this was a really good first camping experience for our troop because we didn’t have to do our meals. Plus, we had a lot of built-in activities planned for the weekend. ❖ Lots of camping at all levels. The primary advice I have is to let them have some downtime to do what they want – read, hang out with their friends, go explore (consider proper adult supervision). Too many planned activities will wear everyone out and lead to meltdowns. Options are good. Roll with the challenges that come your way. The best memories we have come from spontaneity – like the time they took the ropes we were using to teach them to tie knots and made a giant jump rope and then they ALL got in and jumped together. We have some wonderful stories and lots of inside jokes. Camping can also be a great opportunity to mix older girls and younger girls – let the older girls lead something for the younger girls and make scout friends outside of your troop!